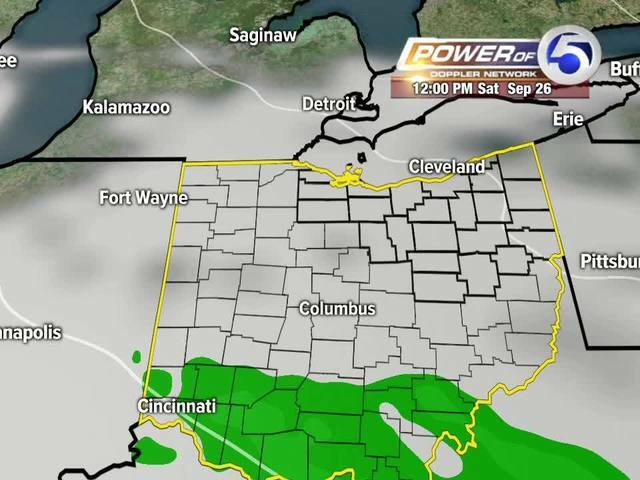 Will clouds obscure the rare eclipse Sunday? The race is on: will the weekend clouds move away fast enough to allow sky watchers a good view of Sunday's rare lunar supermoon eclipse? First, let's set the scene: slow-moving low pressure along the Carolina Coast will drift north and east through the weekend. Low pressure in the upper levels of the atmosphere near the Ohio River will pull clouds into the area Saturday & Sunday and a few showers into our region Saturday night and Sunday. The best chance for rain appears to be Saturday night and Sunday morning. As the surface low pulls northeast and weakens, Sunday afternoon and evening, the rain chances should fade quickly. And, more importantly, clouds should begin to clear Sunday evening from west to east. The computer forecast model that has done the best job with this coastal system so far this week is the NAM Model. I've included a video of the forecast for clouds and showers through early Monday morning. Notice how the rain fades east during the afternoon and the clouds begin to break up around 9 p.m. The Supermoon occurs when the moon's orbit brings it closer to Earth. The full moon appears 14% larger than a normal full moon. This Sunday's full moon will be a Supermoon! Now add in the eclipse. When the Earth moves in between the sun and the moon, the Earth casts a shadow on the moon. Since a little sunlight sneaks around the earth and hits the moon, the moon's surface appears red. That's why we call it a Blood Moon. The Earth's shadow begins to move in front of the moon at 9:07 pm Sunday night. The total eclipse begins at 10:11 pm EDT and lasts for 1 hour and 12 minutes, until 11:23 pm. The moon will then emerge totally from Earth's shadow at 12:27 am Monday morning. That's a long opportunity to enjoy the sight! You'll be able to see the eclipse with the naked eye...if we can get rid of the clouds. Let's hope!